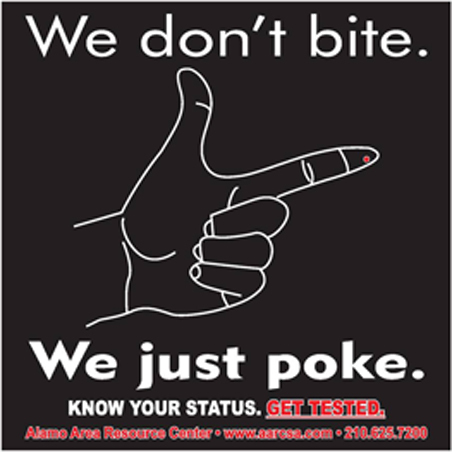 Alamo Area Resource Center provides free HIV, syphilis, and Hepatitis C testing. Syphilis testing is blood drawn and you will be contacted with results. Just call or text us and we will drop of the condoms/lube. http://q-r.to/bapAfz or call/text 210-589-2958 and someone will contact you within 24hrs.